3NITY MUSIC - SUNDAY AFTERNOON SPECIAL - Boston GreenFest - Aug. 16-18, 2019 - FREE! Our mission is to redefine the meaning of what it means to be feminine in the music industry, while inspiring other artist who have been a victim of these injustices and discrimination. For centuries in many cultures femininity has been a synonyms for weak, fragile, pretty, and overall a negative connotation to describe success in many different fields. ‘‘To be successful in the music industry’’, a female needs to be a singer, pretty, skinny and use its body in a way to sell its music. At least that is what most of the managers and labels ask and expect from a female musician. Trinity has members from multiple countries in the latin american who have left their hometown in search of better opportunities in the music industry and to be freed of oppression. 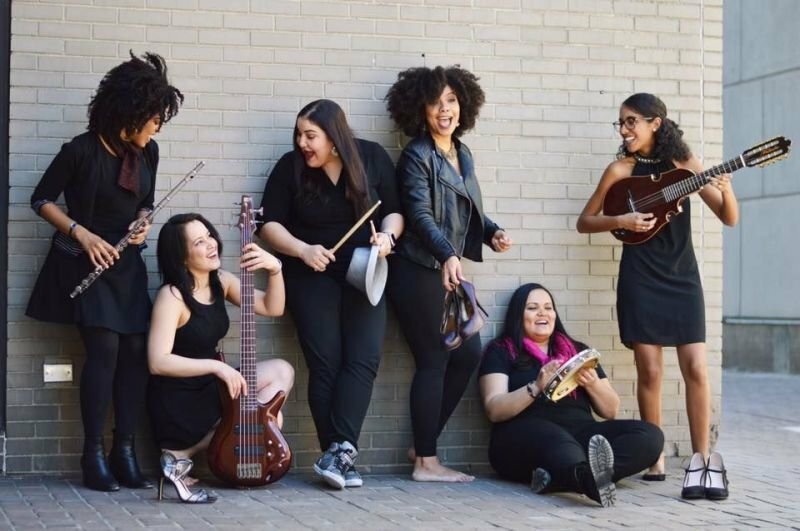 The band consists of six latinas; Anggie Obin, Irisley Gomez, Zayra Pola, Karolina Meireles, Zahili Zamora, Fabiola Mendez. We are here to inspire other women to embrace their femininity and virtuosity as a single concept, to impact and shape the way women think about their roles in the music industry, and to not be afraid of who they are on stage and off stage.